Surgery may be necessary to treat cats who have ingested too much kitty litter. Kitten in a litter box. While it is somewhat normal for kittens to eat kitty litter, this usually indicates a serious medical condition in an older cat. This behavior should be stopped as soon as possible, since it can cause serious bowel problems. To prevent a cat from eating kitty litter, you should consider using a different type of kitty litter. You should also closely monitor your cat and shoo him away from the litter if he starts to eat it. Kittens are often very similar to human infants and children. They are generally very curious about their surroundings, and they often try to eat or chew on things, including kitty litter. Healthy adult cats, however, will not usually eat their litter, and eating cat litter could indicate a medical problem. Adult cats who are eating kitty litter are usually suffering from a vitamin deficiency or a mineral deficiency. Iron deficient anemia is one of the most common causes of this behavior. Cats that are anemic are not producing enough red blood cells, because they do not have enough iron in their blood. They will then attempt to get this mineral anyway they can, such as by eating cat litter. Many times, they will also lick or try to eat other unusual things, such as concrete and sand. As soon as you notice that your cat is eating kitty litter, you should make an appointment with his veterinarian. 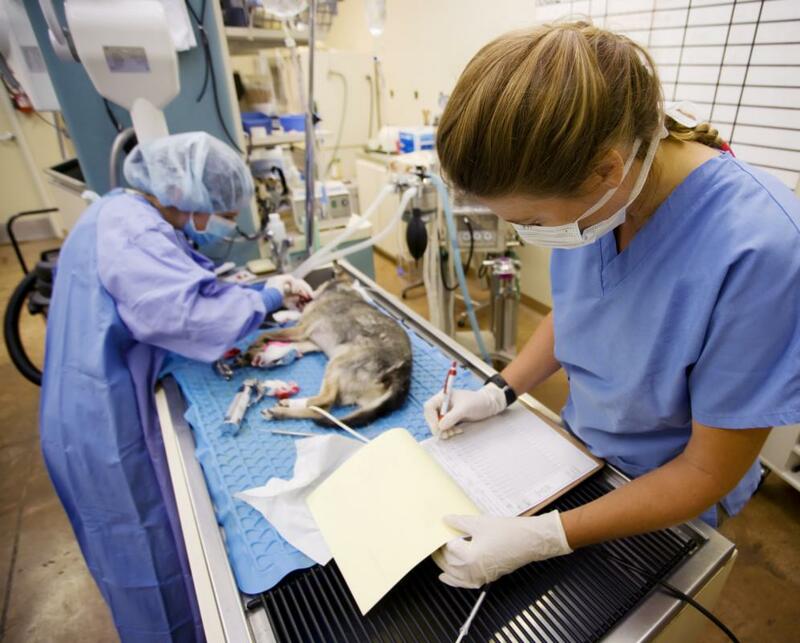 He will usually run several tests, including blood tests, to determine the cause of this unusual behavior. If your cat is suffering from a vitamin or mineral deficiency, treatment should be started right away. Treating the problem may be enough to stop the cat from eating his litter. You should also consider using a different kitty litter in his cat litter box. Clumping kitty litter should be avoided, since this can cause serious problems in cats who are eating litter. This type of litter can form hard clumps inside the bowels, and surgery is often required to remove them. Clay kitty litter should be avoided as well, since it can also clump together in the bowels. 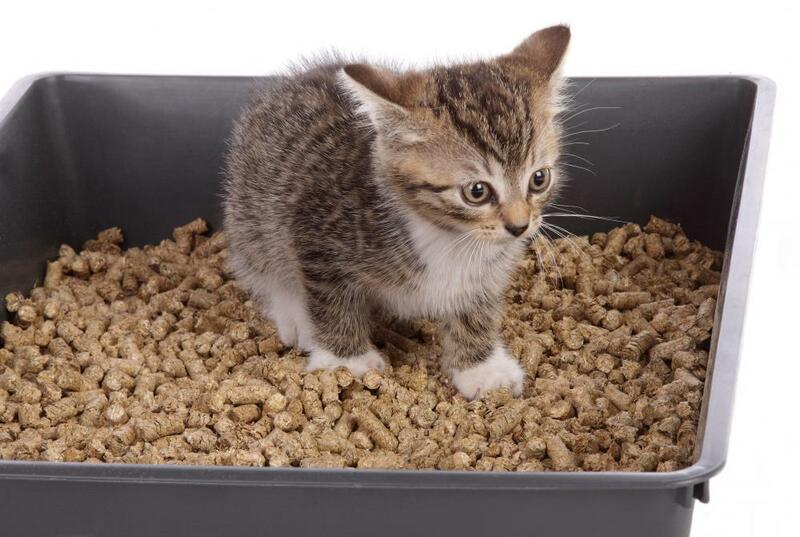 Instead, you can try using kitty litter made from wood chips, recycled paper pellets, wheat, corn, or even sand. Any cat that is caught eating kitty litter should be monitored closely whenever he is using his litter box. If you notice that he is eating kitty litter, you should gently shoo him away. Never yell at or strike the cat, however, since this can cause him to completely stop using the litter box. What are the Best Home Remedies for a Constipated Cat? Why is my Cat Eating Kitty Litter? 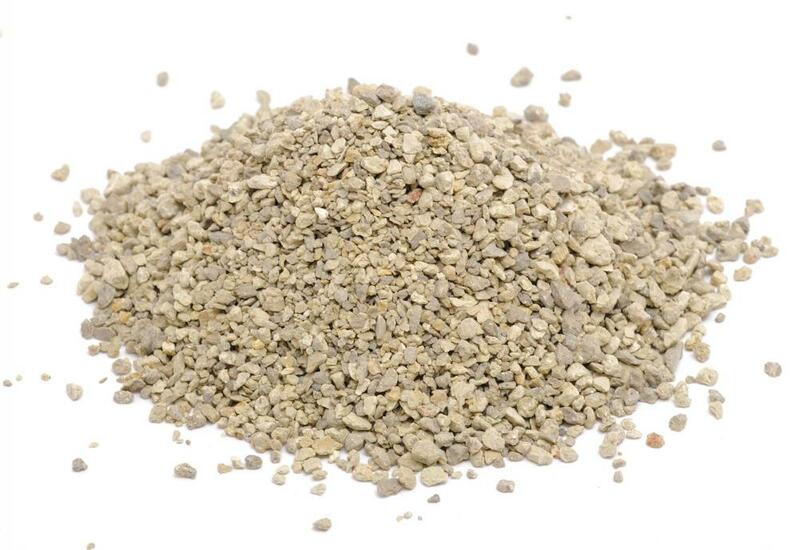 There are plenty of choices in organic types of kitty litter that would be less harmful than regular kitty litters, or not harmful at all, to your pets should they swallow the litter. Some kitty litters are made of wheat, which cats are less likely to be allergic to than corn kitty litters. Litters can also be made from pine and cedar tree remnants, paper products as well as from nut shells. Some of these organic litters are also available in clumping forms. This is convenient, as you know if you have ever cleaned a litter box, however, if you are concerned about your cat eating the litter then clumping is not what you want. As the article stated, the clumping litter could get caught in your cat's digestive system and cause serious problems. I was not aware that cats would eat kitty litter until one of our small kitchens began to chew on the material in his litter box. I was not certain that he was digesting the material because he seemed to be playing with it more than anything. Still, as a precaution I decided to buy an organic kitty litter in place of what I was already buying. When I learned that some litters were made from ground up corn that seemed like the logical choice. I don't want my cats to eat the litter, but if they are going to eat it then I thought corn would not be bad for them. that corn is one the substances that cats are most likely to be allergic to. The allergy can be so strong that if a cat grooming himself removed a piece of the corn litter and swallowed it he could have an allergic reaction. This is a scary thought since cats are meticulous about grooming.